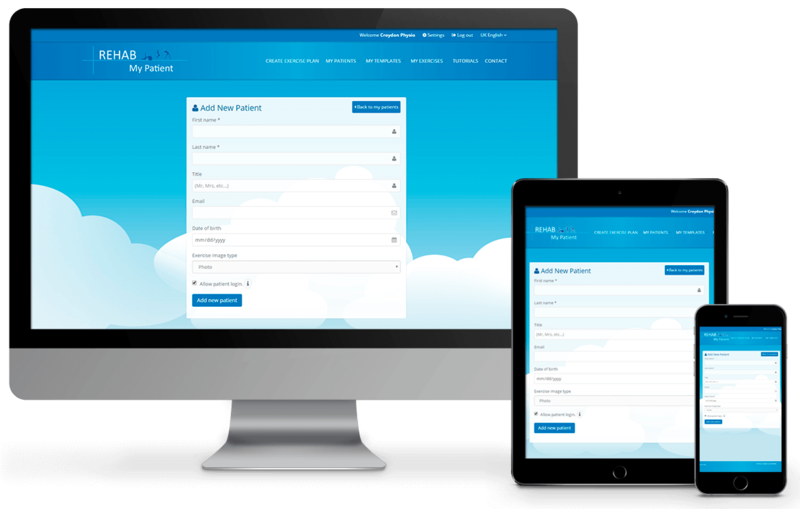 Rehab My Patient is a intuitive and easy to use exercise prescription software loved by many physiotherapists, osteopaths, chiropractors, and sports therapists. 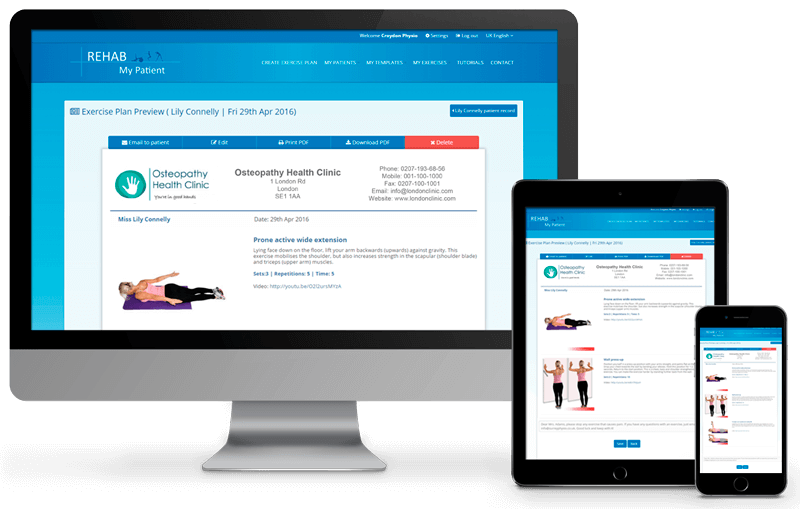 You can choose from more than 2500 different exercises with HD videos, created from leading experts in physiotherapy, strength and conditioning, and sports rehabilitation. All the exercises are adapted to the individual needs of each of your clients. Many of the exercises are evidenced-based. It can be used on any computer, tablet or phone. With only a few clicks you can make a full exercise plan, and print or email it straight to your client. And the best thing is that its REALLY EASY! P.S. If you can't find an exercise in our database, you can create your own custom exercise! • Wooohooo! You are done! 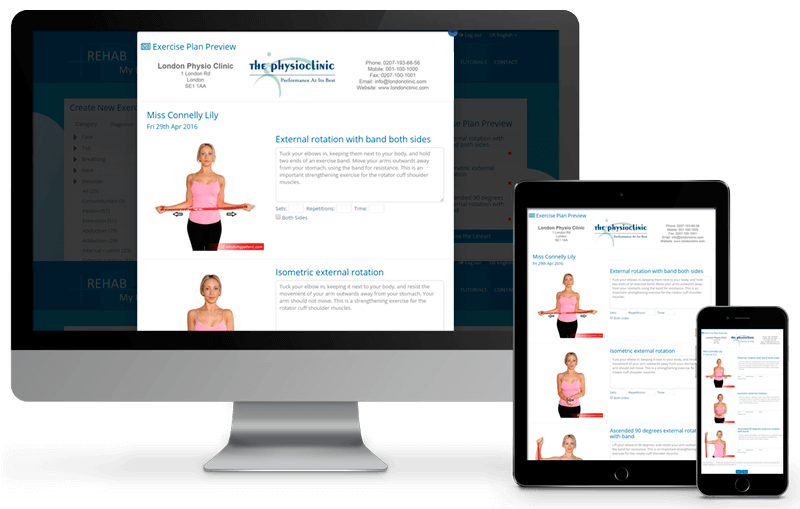 Now you can download, print or email the exercise plan to your patient.